Whether you’re the local pitmaster or a rookie when it comes to the grill, this recipe for Grilled St. Louis Style Ribs will be perfect for your next BBQ. I used to be intimidated by the grill. I’m not sure why. Once I learned how to light the darn thing, I realized that cooking with fire is almost always the way to go. Meat just tastes better on the grill and when you cook on the grill there’s very little to clean up. So now that the weather warming up, I’m grilling. Nonstop. It’s one of my favorite things about summer… besides pool days, margaritas and sleeping in. Girl’s gotta have priorities. 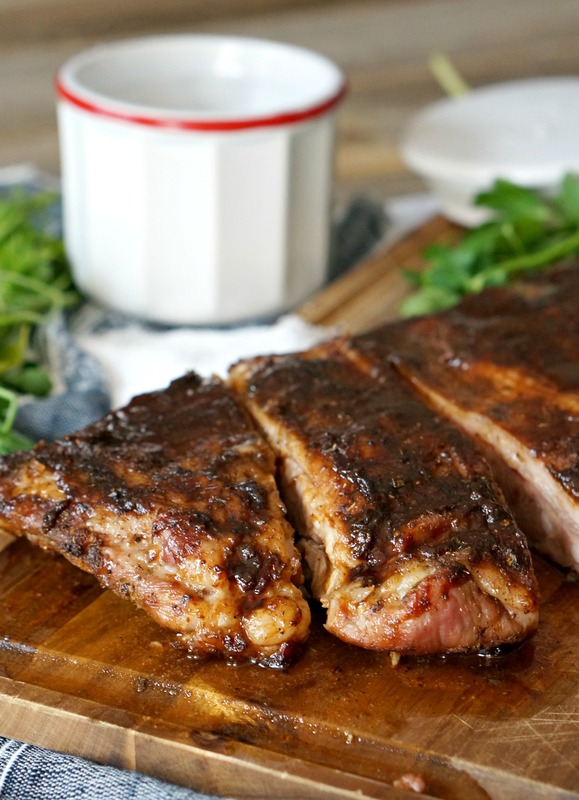 Have you ever grilled St. Louis Style Ribs before? Sound intimidating, right? It’s not. In fact it’s one of the easiest things to grill. As long as you have patience and you start with quality Smithfield Extra Tender Fresh Pork Ribs, you’ll have a mouth-watering meal in your future. 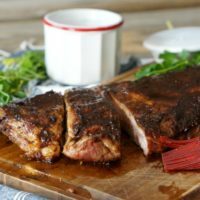 New to cooking Grilled St. Louis Style Ribs? Here are a few things to know – it takes a few hours. Low and slow is key. You’ll also need to hang out by the grill while you cook. Not for every second, but you need to give the ribs some TLC. So plan on chillin’ grill-side and sharing a cold one or two with a friend to keep you company. Good food is worth waiting for. Make sure you have a pretty full tank of propane. If you plan to cook on a gas grill, you’ll want to make sure you have enough fuel to see you through. 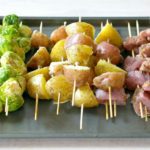 You’ll also need some grill tongs, heavy duty aluminum foil, and grill spray or oil to get your grill grates ready for the meat. Whether you're the local pitmaster or a rookie when it comes to the grill, this recipe for Grilled St. Louis Style Ribs will be perfect for your next BBQ. 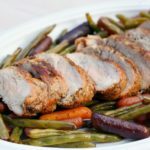 Allow the meat to rest at least 15 minutes prior to slicing. Serve with additional barbecue sauce, if desired. Preheat your grill on one side and allow it to come to 350 degrees. Clean the grill rack and coat with oil. Place the ribs bone-side-down on the side of the grill with indirect heat. 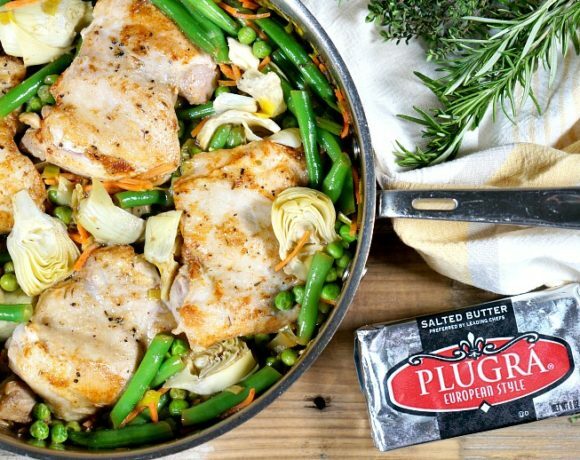 Close the lid and cook for 30 minutes. 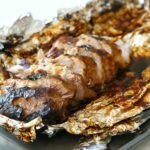 Remove the ribs from the grill and wrap in aluminum foil. 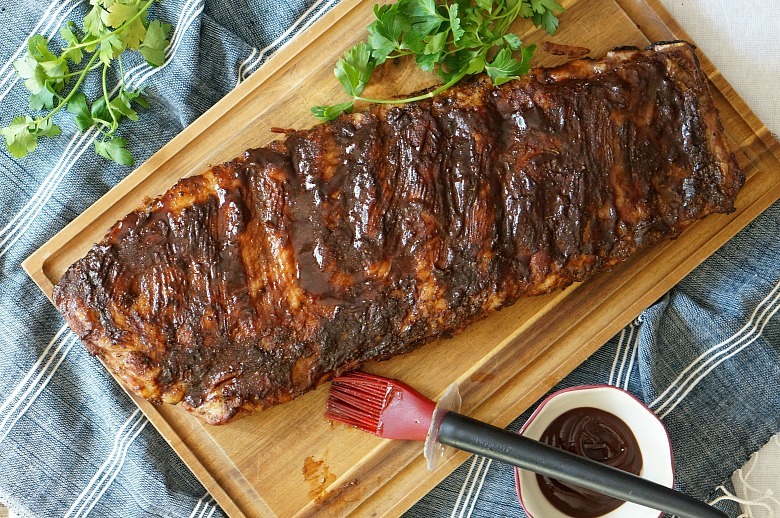 Once you’ve create a nice foil-bed for your ribs, pour in the vinegar and roll up the edges to form a tight seal. Crank up the heat a bit so it's somewhere between 375 and 400 and return the ribs to the low-heat side of the grill for another 45 minutes. Carefully remove the foil-wrapped ribs from the grill. Unwrap the ribs and return them to the grill. Reduce the temperature to hover somewhere around 300 degrees. 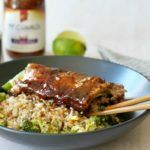 Continue to cook the ribs, basting both sides with barbecue sauce, until the meat is tender and the internal temperature is 175 degrees Fahrenheit. Find all of the ingredients for this Grilled St. Louis Style Ribs recipe at your local Walmart. 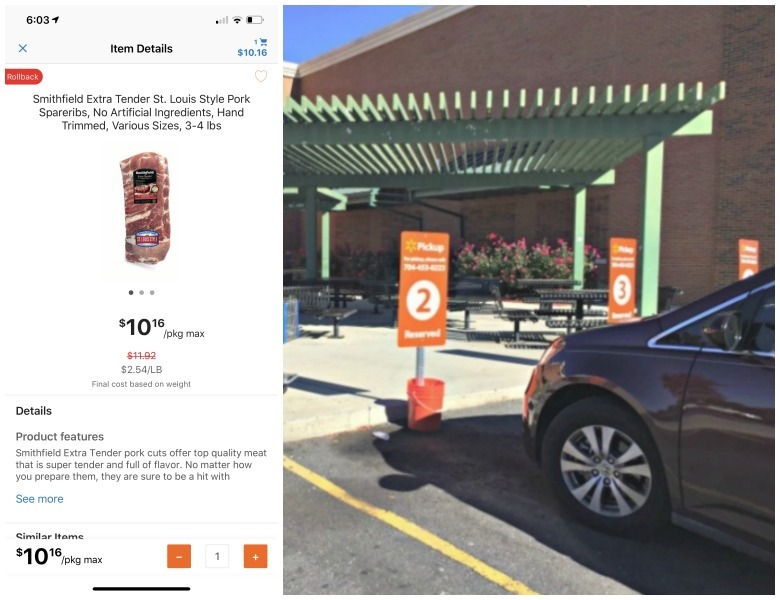 I love their Online Grocery Pickup Service which is fast and convenient. Use this link to purchase Smithfield Extra Tender Fresh Pork St. Louis Style Ribs. 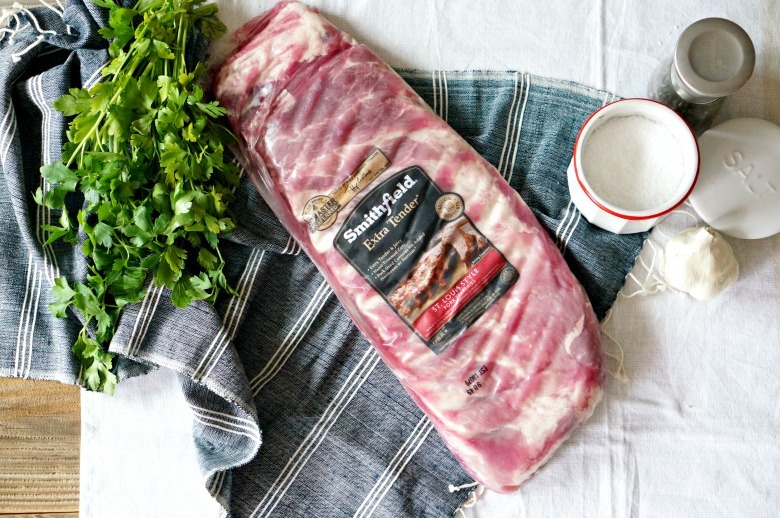 Smithfield Extra Tender Fresh Pork Ribs are hand trimmed, extra tender and have no added hormones or steroids. 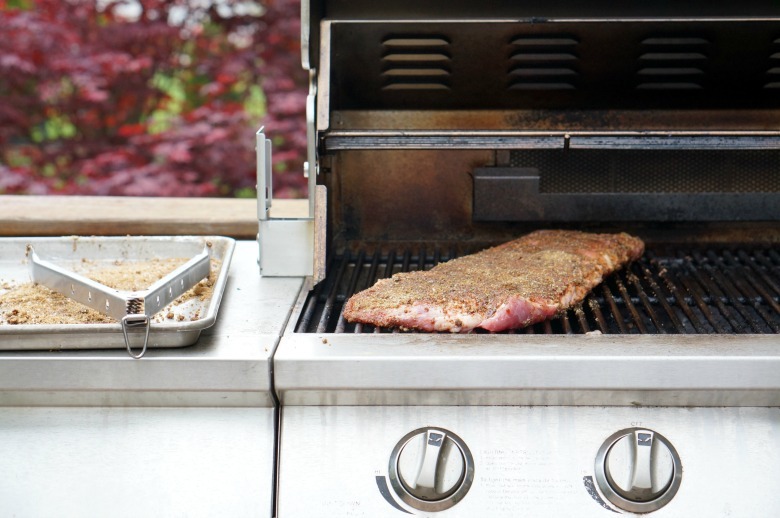 Are you the Hero of the Grill in your home? 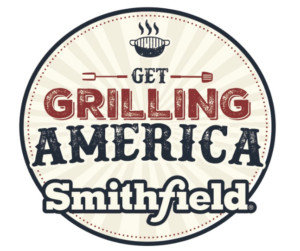 Be sure to visit the Hero of the Grill Contest and Sweepstakes details on SmithfieldGetGrilling.com for a chance to win $5,000! Looking for a few great sides for those ribs? Try our Broccoli and Kale Ramen Salad or this Veggie and Black Bean Sheet Pan Nachos recipe.